Register your domain name quickly and easy with Domain Registry Australia today, One of Australia's Best Value top domain name provider. Have you ever thought of the net as a highway? 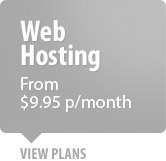 If you did then you would consider a billboard your domain name. It directs people to your email and website. It's a good idea to register it ASAP - if you don't others will be able to swoop up the best names for your business. This can give the competition an edge and your business will already be a step behind. Getting a better name is the same as getting a better address for your website and email -so be careful in your selection! If you have a quirky and cheeky brand show it; if it's more traditional then you should shop with this in mind. Think about what your clients will associate with your business or might search to find you. Want more customers over the years? Use this simple strategy- register multiple domain names. This will improve your SEO rankings as well as help your customers remember your name, what you provide and your brand. 1. Peter bought peterplumbing.com.au so he could have a web presence for his business. 2. 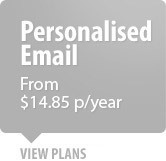 He used the same name to create an email for his business: peter@peterplumbing.com.au. 3. He saw very little new traffic to his site although his current customers used it. 4. Looking for more traffic, Peter registered more domain names. He found ones like plumbermelbourne.com.au and plumberfootscray.com.au. 5. Once he had these domains redirected to his original site there was a jump in his SEO ranking. It allowed him the ability to reach people within the industry and specialize. 6. Peter was able to reach more potential clients because he suddenly had more ways to his site. If the internet is a highway there were now multiple roads leading past his little plumbing shop instead of the dead end street before. In slang, how does everyone refer to your business? What do you think people are likely to search to find you? The longer and more complicated your name is the less likely it will appear in a search. 	Are your services unique? 	Do you have a trading name that uniquely identifies you? 	Is the company or your products better known? 	How your services and products are described in the general industry? Is your current provider not giving you everything you need? DomainRegistryAustralia.com.au provides an excellent alternative. 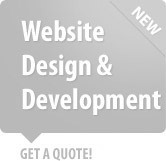 We provide a fast process and unbeatable prices. 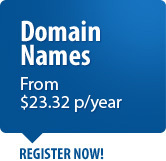 *min 2 year registration for Australia domains.